Before you begin your weight loss journey at Dr. Urshan’s physicians weight loss center, determine the reasons why you want to lose weight. Are you doing it for your health? Always remind yourself that your body is your temple. You want to keep it looking good, and you want to make changes that make you feel the best you can. 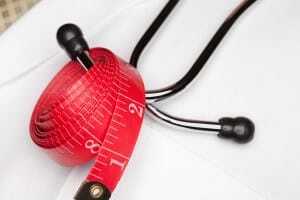 Keep in mind that a physicians weight loss center can help you achieve your goals. In fact, Dr. Urshan can assist you in losing weight more effectively. Dr. Urshan’s physicians weight loss program gets results utilizing the latest technology without pills. Getting positive about weight loss isn’t the easiest task, especially if you’ve been unsuccessful in the past. However, having a positive attitude this time around may have a significant impact on your success. In some cases, you may need more than just positive thinking, which is where a physicians weight loss center with a physicians weight loss program comes into play. Contact us today to schedule an appointment and Dr. Urshan will answer your questions and discuss medical weight loss options.